Phil was born and raised in Salem, Massachusetts. He was the youngest child in a family of three brothers and two sisters. He attended St. Mary’s High school in Lynn, Massachusetts on a full scholarship. He also earned a full scholarship to Suffolk University in Boston and graduated form Suffolk in 1980 with a BS/BA degree in accounting. During college, Phil became interested in the subjects of philosophy and psychology. He studied eastern and western philosophies. Having been interested in the martial arts since his exposure to the “Kung Fu” series in the early 1970’s, Phil coupled his interest in philosophy with the physical training of the Shaolin Kempo Karate. In 1984, Phil came to Charleston, SC and began teaching on James Island. This first school proved to be a success and with the assistance of his partner, Mike St. Amand, a second school was opened in downtown Charleston in 1985. 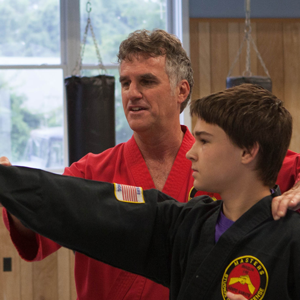 As a co-founder of the “Masters Studios of Self Defense”, Phil has been instrumental in expanding the school to four locations throughout the Charleston area. He now serves as the Director of the West Ashley Studio. Phil is currently a 7th Degree Black Belt, having trained in this system and under 8th Degree Masters Robert Nohelty and James Bryant for over 20 years. he has also studied Kung Fu and Tai Chi under Masters Yao Li and Joshua Grant. In 2002, Phil was awarded the title of Master by Senior Master Bob Nohelty. Phil is father to Jenna & DJ! Robert was born in Hermitage, PA. He moved to Charleston, SC during his childhood. During high school, he participated in competitive swimming. While he was in college, Robert became interest in the kempo karate. 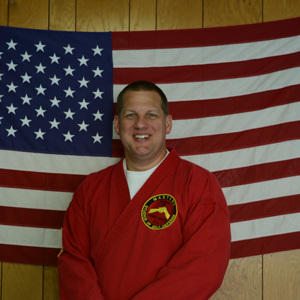 He has been with Master Studios of Self Defense since 1994. Currently, he is a 4th degree black belt. Robert teaches the adult conditioning class and assists teaching the adult sparring class. 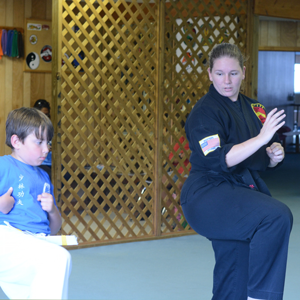 Jessie began studying Shaolin Kempo with her mother, Patti, at the age of 12. She has trained continuously under Master Phil for almost 9 years now, and has taught for 6 of those years, currently a Chief Instructor. She is a second degree black belt. When she’s not at the studio Jessie is busy studying at the College of Charleston (Class of 2016) to obtain her History and Archaeology degrees. She is also an avid rugby player and captain of the College of Charleston’s nationally ranked Women’s Rugby Club. Jessie primarily teaches during the children’s classes at the West Ashley studio, though she enjoys the challenge of teaching adult classes on Friday evenings as well. 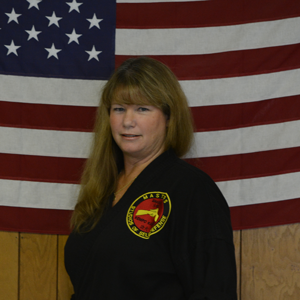 Patti has always been athletic but took up martial arts late in life at the age of 43 and started with Masters Studios in November 2006 alongside her daughter, Jessie, who also is a Chief Instructor at the studio. Patti is a Chief Instructor at the West Ashley studio with emphases on the adult classes though periodically assists with children classes. She also practices Tai Chi.. She is currently a 3rd degree black belt. In her off time she enjoys photography and playing co-ed softball among many other activities. 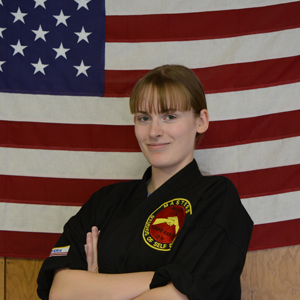 Born and raised in Charleston, SC, Eilish started karate at the age of eight in 2005, and in 2013 achieved the level of black belt. While still working to strengthen herself and continue to improve her own skill, she now teaches children’s classes; passing on her own knowledge to the next generation of students. She also uses the understanding of how the body moves and reacts from her experience in Martial Arts to better her art. She now studies animation online at the Rocky Mountain College of Art and Design with the hope of one day working for Disney.